How do I admire Maher Zain? 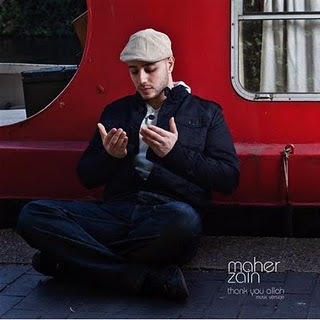 Simply through my husband... one day he said " Let's get Maher Zain track.. u'll lovess his song". It was monthsss ago we search all around...from the famous music stores till a small rental stores... end up a week later we manage to purchase the original album at Speedy Giant... Since then, all the song keeps playing amongst us. 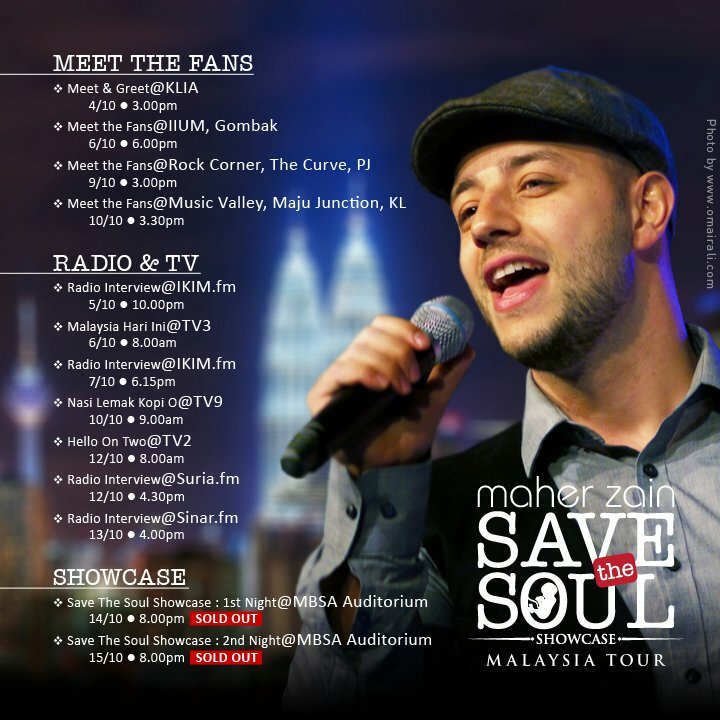 Till last month when hubby said he's coming to M'sia, but i was a bit late to hear the spreading news... hehe... and been mentions by the organizers that the ticket already "SOLD OUT"... hahaha... never mind ... sibuk jer aku tengah membuyut nie nk g tgk concert kan... tp for humanity why not?! Upon watching the latest updates about him in Brunei, i suddenly exited again about the concert... hehehe and wanna share with everyone reading my blog. Maher’s first musical inspiration came from his father, who was a singer himself, performing locally in the beautiful Mediterranean city of Tripoli - Lebanon. Fascinated by the music and instruments, Maher got his first keyboard when he was only ten and ever since music officially became part of Maher’s world. His family moved to Sweden when Maher was only 8, where he continued his schooling, and later entered university and got a Bachelors degree in Aeronautical Engineering. With things changing around him, one thing remained the same - his strong passion for music. “I loved the music but I hated everything that surrounded it, it always felt like something wasn’t right”. 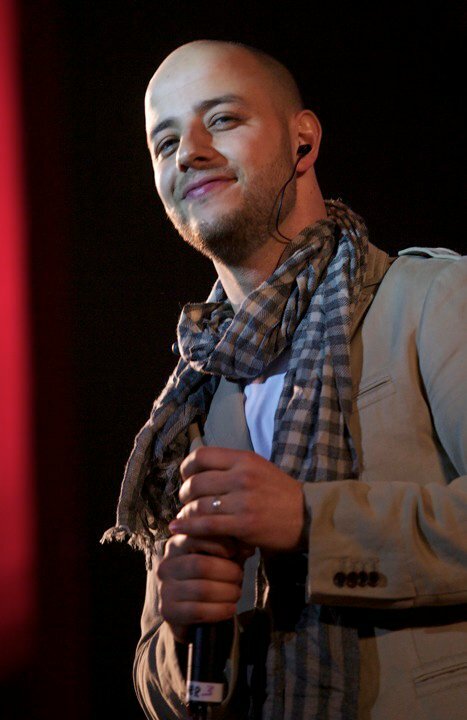 In January 2009, Maher Zain decided to work on an album that reflects his identity – Arab, Western and Muslim - and signed with Awakening Records. Maher’s debut album Thank Youa Allah reached the number 1 spot on Amazon’s World Music charts and number 9 on the R&B charts. In January 2010, in a music competition organized by Nujoom FM (Egypt’s biggest music radion station) Maher’s track ‘Ya Nabi Salam Alayka’ was voted as the best song for 2009. Runners up included big names like Hussein Aljismi, Mohammed Mounir and Sami Yusuf. Maher has already performed at sold out concerts in Algeria, Australia, Belgium, Canada, Egypt, England, France, Holland, Sweden, and the US amongst others and is fast becoming the ‘next superstar of Islamic music’. hansem kan this MAHER ZAIN ni..